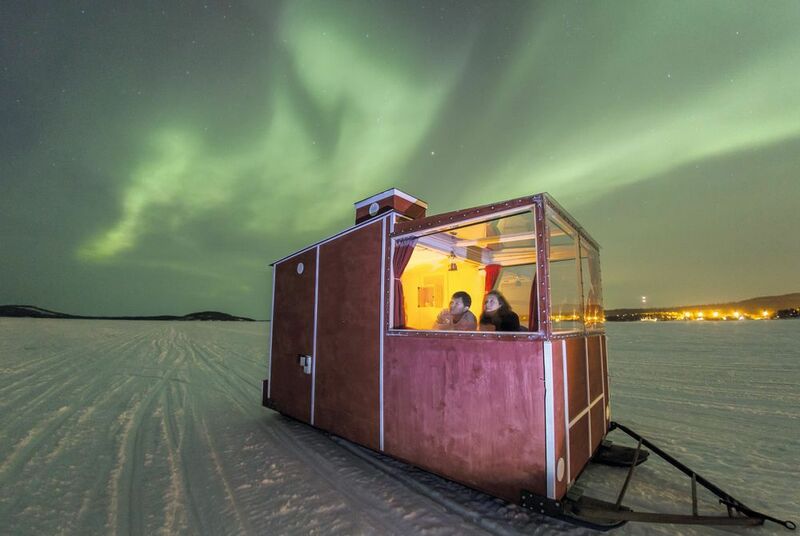 Go deep into Finnish Lapland in an unusual manner: a portable camp! 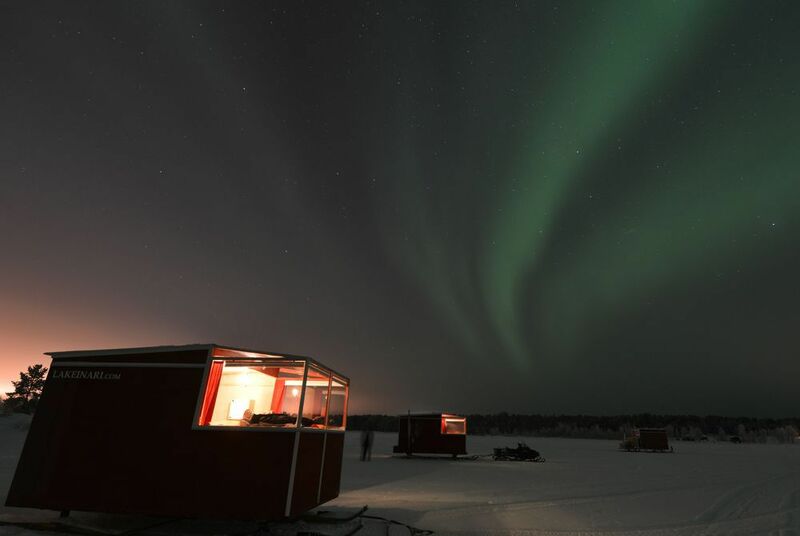 This unique tour to Lake Inari in Finnish Lapland takes you right into the heart of the aurora zone to spend two nights at the family-run Hotel Kultahovi and a further night in a mobile cabin, staying on the frozen lake itself. Taking your own personal sauna and hot tub onto the lake is optional, but highly recommended. 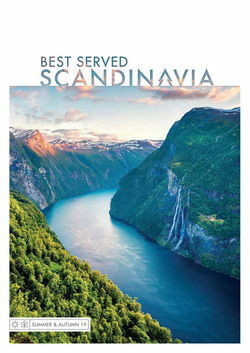 Fly to Ivalo via Helsinki and transfer to Hotel Kultahovi, located alongside River Juutua in Inari village. 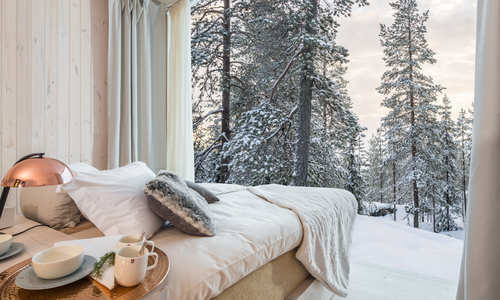 Each room has its own sauna – perfect for warming up after days spent exploring the frozen Lapland wilderness. Rooms here are clean, cosy and exceptionally comfortable, and your hosts, Kaisu and Heikki, will go out of their way to make you feel at home. A traditional Lappish dinner at the hotel’s restaurant, Aanaar, is a fitting end to your first day. 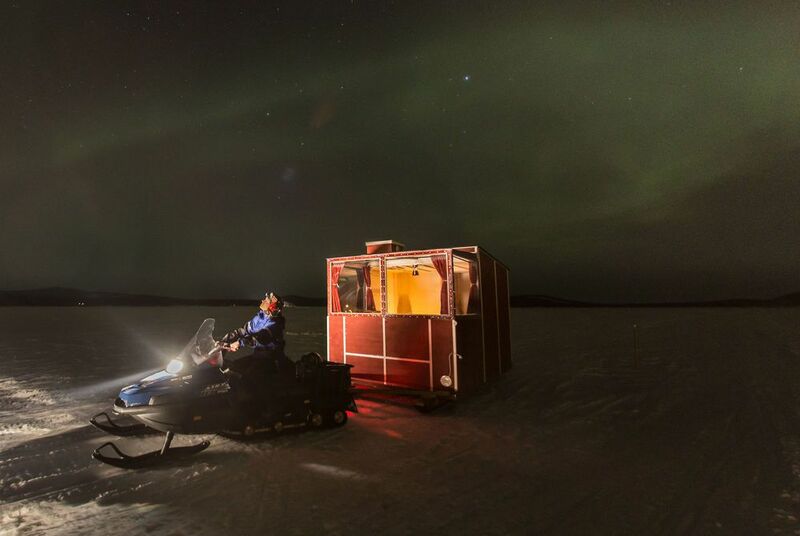 With reindeer sleigh rides, snowmobiling, ice fishing and husky safaris, there’s much to keep you occupied before you leave the hotel to head out onto the frozen lake. 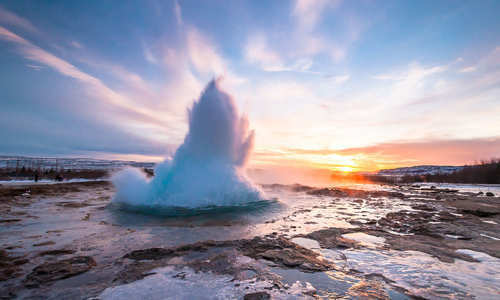 This evening, along with your guide, Esko, you’ll tow your home for the night – along with affiliated sauna and hot tub if you so wish – to a secluded spot far from the shoreline. With large windows on the front, sides and roof, its an ideal base for spotting the Northern Lights, while a cosy double bed, heating and an on-board toilet ensure you’ll have a restful night. For peace of mind, there’s a shower, kitchen facilties and even WiFi available back at base. Wake from your peaceful slumber to a day packed full of possible winter excursions. 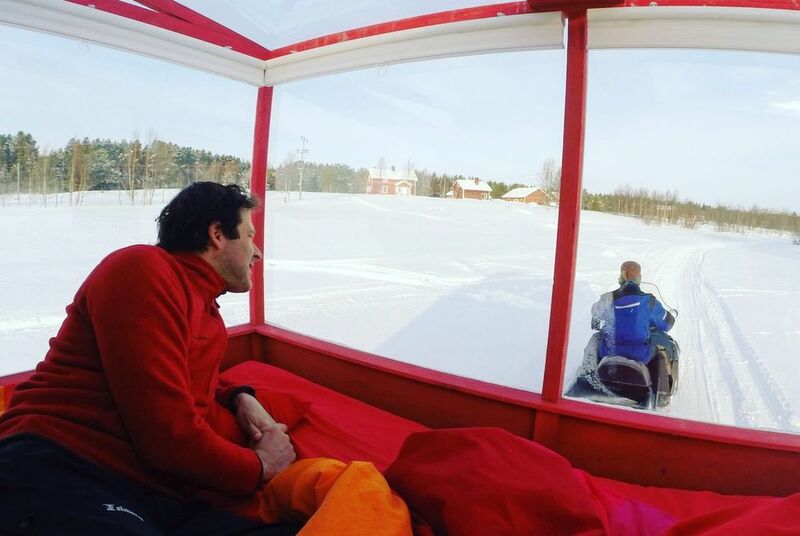 Options include country skiing, kick sledging and snowmobiling. 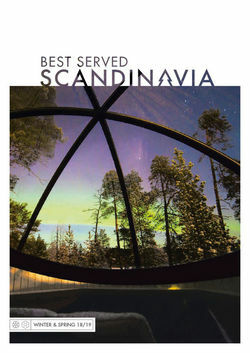 Alternatively, the excellent Siida Museum provides a fascinating insight into Sami culture. 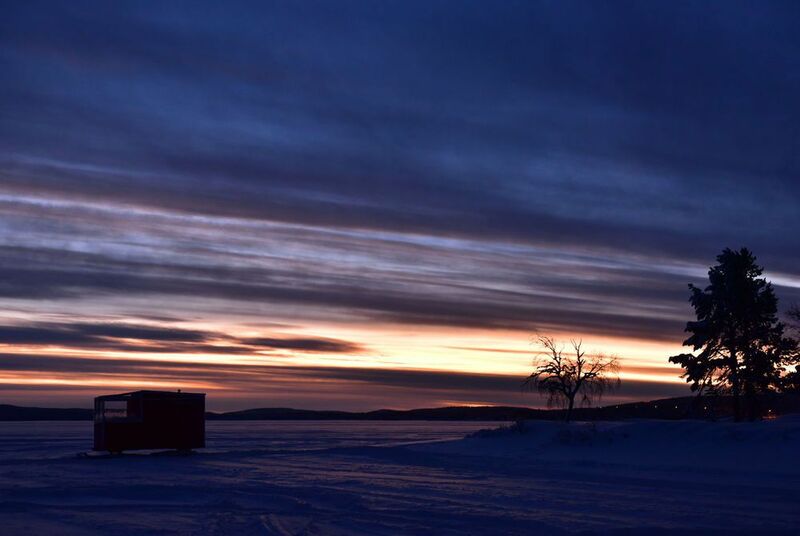 In the evening, Esko will transfer you back to Hotel Kultahovi for a final night of comfort and delicious Lappish food. After breakfast, transfer back to Ivalo airport in time to catch your flight home.